Your Sunday Bread: Yah Give Me Strength so I can Pray? Many people, including myself when we hear someone speak of wisdom may think of this as being lessons learned. Or some of us see having grey hair as wisdom. Right? Every single thing we go through can be a lesson, though seemingly, some of us are lacking in the wisdom department of life. I can attest, there are many hard knocks of life that have gained me much wisdom, or so I perceived, because frankly I thought I could see until I found out I was blind as a bat. Let me explain, because that verse is not speaking of ‘street wise’. Wisdom is more than the grey hair on our heads, and most certainly more than what we learned in the street. If there are those of us who have made it out of that safe and sound, still in one piece I commend you. Congratulations for dodging the bullet, because most certainly we have placed ourselves in some dangerous circumstances. Of course, not all people have been there and done that, so for you I say better safe than sorry doesn’t do much for those who are living on the dangerous side of the fence, however, there is a lesson for everyone to learn from someone else. So congrats to you too even if you are a scardey cat! So wisdom is more than an experience gained, it is a skill gained from the experience. We should face the fact that not all experiences have gained us skill. Hence, we are still doing those things even though we know some of that is not good for us. Skill. This type skill solves problems. Now I can say going to school teaches us many skills for on the job, however, this type wisdom can seek answers to probems where no man can think of. It is the case, this skill is from above. Ever been given direction from the Most High beforehand? Dexterity. The ability to think and act quickly in a situation, and or, cleverly. We use this in sports, or other activity. Sports fans should be able to relate to the skill it takes for that runner with the football to manuever past the opposition on the field. Comprehension. Understanding, or rather, the act of grasping with the intellect, and knowledge gained. Ok we gain some knowledge of the streets and know [in some instances what not to do]; however, even when we know what not to do we still do it because we have become skilled at it. Hence, wisdom can be applied to the bad or immoral behavior too. Call that stupidity. 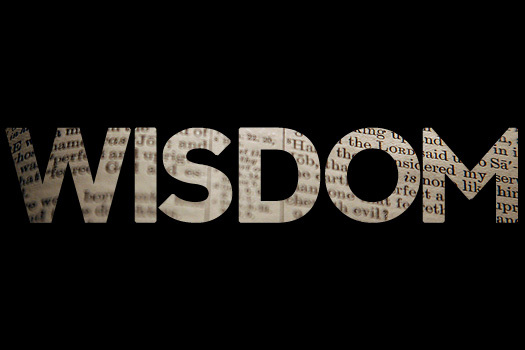 However, Wisdom for this occasion, and the type wisdom Solomon asked was that ‘His eyes be opened’ to see. This would entail that man has not this type wisdom, and never has asked because scripture says that Yahuah gave it to Solomon and there has never been a man before him or after with such. So then men are too smart, but without this type wisdom– street wise. Today: I want to be taught by Yahuah. Don’t you? To do the right thing. This entry was posted in Biblical, Black Culture, Community, Ethical, Family and tagged BIBLE, Bible Study, Christian, Christianity, CHURCH, Culture. Bookmark the permalink. ← Your Sunday Bread: Is Rah El? Reblogged this on The Dailey Grind.